We want to help change the lives of those in assisted living situations by making it easier for them to perform everyday tasks. Our mission is to harness cutting edge technology and provide useful products for those in needs. Simple daily tasks like answering the phone or switching the lights can be a challenge for some. We are here to help. Activocal is an Israeli based R&D company part of the Redworth Capital group. 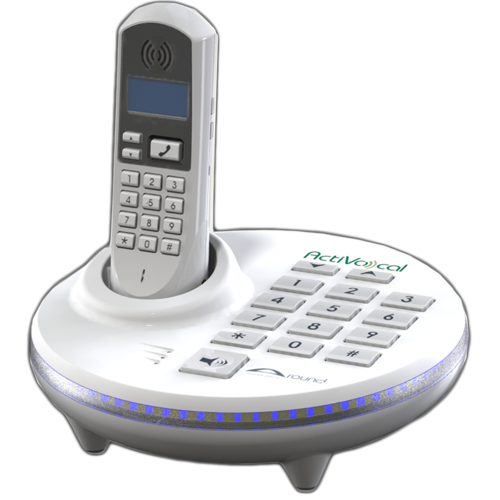 Around is a voice activated speakerphone allowing the elderly, the visually impaired and those with limited mobility to communicate by phone using vocal commands and engage in a vocal conversation, as well as receive calls by vocal command with caller identification. Talking caller identification, indicator lights and voice for each action are some of the features that make this a perfect fit for this seeking total telephony independence. The product can receive vocal commands from as far away as 15 feet / 5 meters. It can also be used as a regular phone to place and answer calls using the keypad. The cordless handset enables voice activation and phone conversations when roaming around the house. A voice-activated dialer, this device turns any landline telephone into a voice-activated telephone. Tens of thousands of units have been sold, a sure indicator of its great success in aiding the visually impaired, those with limited mobility, and the elderly. The simple plug and play device, sold at an affordable price, has become a sensation that simplifies life for people with different types of impairment, allowing them full communication without the need to press buttons, enter numbers, or hold a telephone receiver. Wear is designed to be used when an individual who is experiencing hearing loss wants a quality conversation in very noisy environments such as family gatherings, restaurants, or meetings. 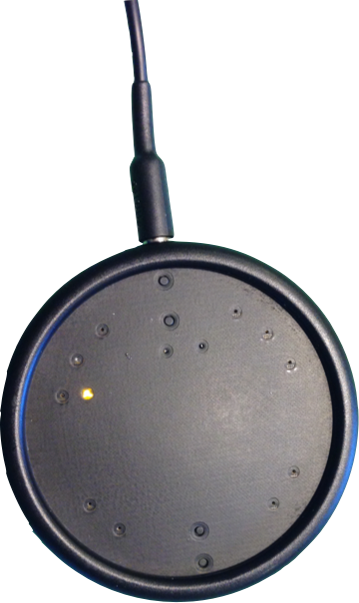 The Wear amplifies sound directly in the circular zone, about 5-6 feet in front of the user, while reducing noise outside of the zone.